The Department of Environment and Natural Resources reached its “maximum tolerance” as far as waiting for the Panglao government to issue demolition orders on the illegal structures found violating DENR rules. PENRO Salem Quiwag said he finally sent his report to DENR Sec. Roy Cimatu regarding the defiance of Panglao Mayor Pedro Fuertes to issue the demolition orders. “I personally wanted to report something positive done since after the inspection of Sec. Cimatu last March 27,” the local DENR official said. The situation in Panglao is considered sensitive even as it is not as worse as Boracay, Quiwag said, thus he delayed his report to DENR central offices while hoping for the Panglao mayor to issue the orders. After five months in the waiting, Quiwag said he could no longer hold his report to the higher DENR officials. 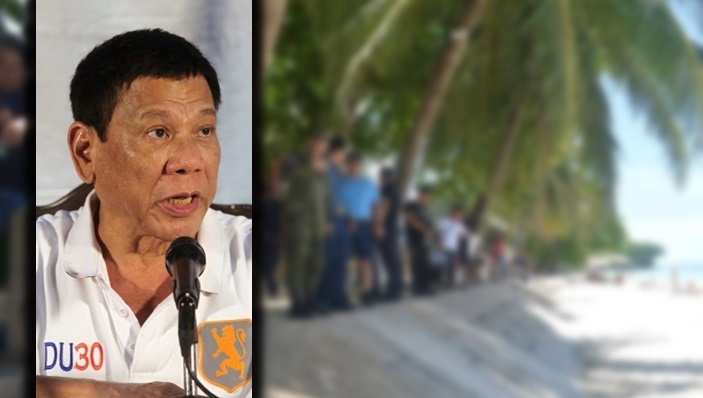 “It is now up for President Duterte to decide on the fate of Panglao,” Quiwag stressed citing that once DENR Sec. Cimatu would know the non-issuance of demolition orders, he will report this directly to the President. It maybe recalled that Presidential Assistant for the Visayas Sec. Mike Dino sent a letter to Mayor Fuertes last Monday warning him of the consequences if he will continue to defy the order. Reacting to this, Quiwag said this is a “delaying tactic” which is only meant to defy the order to demolish these illegal structures. He will wait for the reply of Sec. Cimatu this week once his report will be read and evaluated.